​In this post we examine five of the best-selling cold laser therapy devices on the market. First we'll explore how they work and then examine each units individually, assessing buyer feedback. To start, cold laser therapy is a medical treatment that also goes by low-intensity or Low Level Laser Therapy (LLLT) (Source). It is called low-intensity because unlike many other laser treatments, it doesn't heat the tissue it treats. Many people receive this cold laser treatment in office but it typically isn’t covered by all insurances, including Medicare and Medicaid (Source). However, that doesn’t mean that you can’t reap the benefits of a cold therapy treatments (Source). Keep in mind that you should consult with your physician before undertaking laser therapy on yourself. 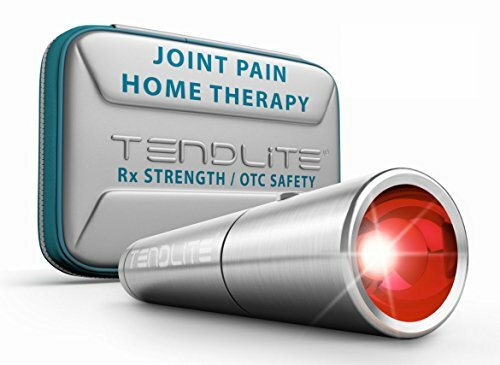 For the 5 products that we are looking at today, the Pain Relief Therapy Tendlite﻿ device was a fan favorite. This device is used for many different pain conditions- particularly knee, shoulder, elbow, hand, feet, back, Carpal Tunnel, Arthritis, Bursitis, Plantar Fasciitis, Fibromyalgia, Tendonitis, Sciatica, pain. This home therapy unit is also FDA approved. 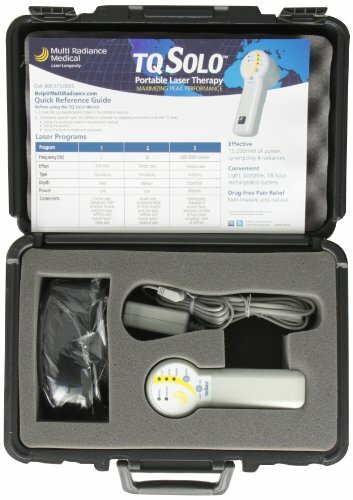 Next up, we have the Multi Radiance Portable Cold Laser Therapy Kit. This laser comes in a case with detailed instructions on how to use it. Many customers experienced relief with the use of this device. The next two items are the MadeMax and the Terraquant unit. The appeal of the MadeMax is that it's advertised as being safe for pets. However, the Terraquant is a particularly easy-to-use, handheld device. Finally, we have the Dynasty professional-grade laser unit. The reviewers we spoke with didn't like it- criticizing its lack of clear instructions and general inefficacy. Cold Laser Therapy or Low Level Laser Therapy uses specific light wavelengths to engage your body's tissue to help boost natural healing processes. It's commonly employed on patients who are suffering from different chronic and acute conditions to treat swelling, pain, spasms while enabling heightened functioning. These are handheld, flashlight-sized devices that are placed directly over your injured area for anywhere between 30 seconds and several minutes. The time will depend on the size of the treatment area and the laser 'dose'. The laser's non-thermal photons pass through the dermis, epidermis, and the subcutaneous tissue. This catalyzes events in the cell that, it is theorized, help normalize injured or damaged tissue, reducing pain, decreasing inflammation, and increasing intracellular metabolism for faster healing. Customer opinions on these devices vary. The first thing we noticed researching these devices is that cold laser therapy is only as effective as the unit you are using. They also report it helping a variety of issues from minor injuries to inflammation and even chronic pain conditions- though there is some pushback online by people who call it a scam. The MADEMAX Cold Laser Therapy Device is a solid option if you need a cold laser therapy device for pain relief. Although some users like the efficacy of the device,some do complain about no improved results after the therapy. 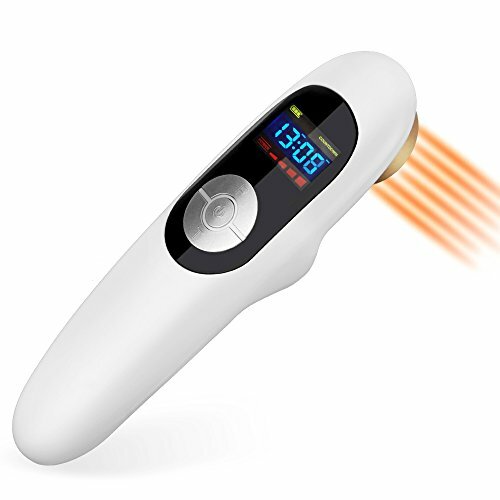 This product is an LLLT (low-level laser therapy) device which combines two kinds of laser wavelength: 650 nm and 808 nm. It combines laser energy with traditional Chinese acupuncture principle. It effectively relieves neck, back, shoulder, knee, elbow and feet pain, and it is useful for arthritis, rheumatoid arthritis, prostatitis, sciatica, carpal tunnel syndrome, tendonitis and other inflammatory diseases. This item might be a solid choice if you want a household portable therapy machine that can be used both on humans and animals. Buyers’ opinions are divided when it comes to the MADEMAX Cold Therapy Laser. Some find it to be of great help for reducing swelling and pain. One satisfied user shares that she found immediate relief for fresh injuries, and another one states that it really works for joint pain and inflammation. However, some buyers complain that they felt no improvements after using the device. Cold laser treatments can help with a variety of problems including minor injuries, chronic pain, arthritis, and so much more. Doing this treatment in the comfort of your own home helps with the cold laser therapy cost of having this treatment done by your doctor. The current number of cold laser therapists is small, so purchasing one to use on your own is a great way to make sure you get the treatment you want. If you’re looking for a top-rated cold therapy laser, you might want to consider this one offered by TENDLITE®. Most of the users like the performance of this device, but some do complain about experience in no effects. This product is an anti-inflammatory and analgesic therapy device for your joint pain relief. The red light therapy studies show faster healing times by increasing local joint’s collagen production, i.e. joint tissue repair, strength, flexibility and mobility. This item could be a good choice if you want a top-quality stainless steel therapy device for painless, easy and safe treatments. In general, users have a favorable opinion of the TENDLITE Red Light Cold Therapy Laser. They agree that it is sturdy and easy to operate. Most of the users share that it really alleviates pain, decreases stiffness, increases mobility and seems to accelerate healing on injured muscles and tendons as well. However, many buyers complain that the item did not help with alleviating their pain at all. Some also complain that the unit stopped working in less than a year. 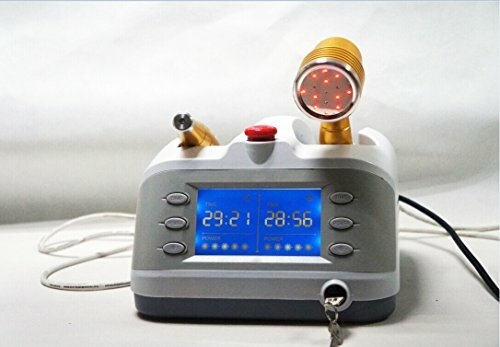 The Dynasty VLP-1 Professional Cold Light Laser Therapy could be a solid option if you want a professional cold laser light therapy system for home and professional use.So far, there have been no reviews from the buyers. This product is a professional grade therapeutic laser instrument based on modern laser medicine and clinical practices. According to the manufacturer, it is a very easy-to-use, modern and high-tech unit. Using light radiation, it’s believed, assists in improving the oxygen carrying capacity of blood cells, which in turn provides many therapeutic benefits for joint pain, arthritis, inflammation, etc. The laser energy, it’s claimed, has a cumulative effect and therefore the daily accumulative time of treatment should not exceed 40 minutes. Due to its large light head, the treatment covers a larger area in less time and is thus more effective. This cold therapy laser might be a solid choice if you are looking for a device that offers settings for both broader applications (knees, shoulders, neck, etc.) 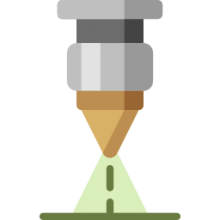 and acupuncture applications. 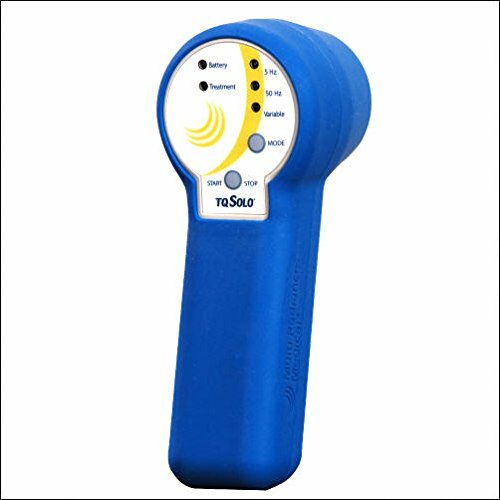 If you are looking for a cold therapy laser, you might want to consider the Terraquant Portable Cold Laser Therapy Device. Users like the efficacy of this therapy device, but some do complain about the item breaking too soon. This product is an FDA-cleared over-the-counter pain relieving device. This compact portable cold laser allows you to relieve both chronic and acute pain in the comfort of your home in just minutes a day. Cold laser treatments accelerate healing, speed up metabolic activity, reduce swelling, and otherwise reduce pain while enhancing vitality. This product could be a solid choice if you need a therapy device that can provide relief from muscle strain, arthritis, sprains, neck pain, back pain, and more. In general, users have a favorable opinion of the Multi Radiance Medical Cold Therapy Laser and they agree that it is a perfect portable laser for people and pets. They would highly recommend it for relieving pain in conditions such as neck strain, pulled calf muscle, torn ligament, hip fracture healing, L4-5 disc bulge, to name a few. One happy user shares that she used it for her dog who lost the use of his legs and with this laser treatment he was able to use his legs and run again. However, some buyers complain about the quality of this device. Several users state that it broke in a couple of years. One dissatisfied purchaser says that it is poorly made and is not nearly as powerful as a laser pointer. Helps with neck strain, pulled calf muscle, torn ligament, hip fracture healing, L4-5 disc bulge, etc. The TerraQuant / Laser-Therapy.US Ultimate Cold Therapy Laser System might be a solid option if you need a portable therapy device. This product combines 3 different wavelengths for pain control, inflammation control and increasing blood flow. There are several accessories available to expand the system, such as the optional light pipe adapter for acu point and trigger point therapy, as well as the optional stand for hand free treatments. The device is very flexible and easy to use. If you want an FDA-cleared over-the-counter therapy cold laser, this item might be a solid option. It would make sense since we've covered some of the best cold therapy laser units on the market to take a deep dive into the history and figure out exactly where this unique form of anodyne therapy originates from. Our friends over at coldlasers.org write that cold laser therapy is a newer treatment modality, especially compared to more traditional alternative treatments like acupuncture, chiropractic, and physical rehabilitation therapy. Because of some technological advancements, it's now possible for most independent practitioners to own their own high-quality laser equipment. This is because of some technological achievements that innovated low-level lasers plus the FDA clearance of a cold laser in 2001. In our research, we've seen cold laser used in two specific and different ways. The first way that it's frequently used is by targeting trigger points- this works the same way, basically, as acupuncture does but doesn't use any needles. The second way is by broadly targeting bone and tissue with the red light photons to promote healing and to decrease pain. As a non-intrusive and noninvasive treatment modality, especially compared to surgery and acupuncture, it's a great way to provide non-addictive treatment without any drugs. We've also seen that pets, dogs and cats, can receive cold therapy laser treatment- though it's best to consult with a veternarian to get feedback on best practices if you're going to be using laser therapy on an animal. chronic and acute pain (Source). The top benefits of cold lasers, compiled from over 4,000 studies of their effectiveness include limited side effects, no pain in administration, safety, non-toxicity, decreases chances of surgical intervention, and its ability to work compatibly with other treatment modalities like physical therapy, chiropractic care, and acupuncture. The way cold lasers work, they produce light impulses at different but specific wavelengths designed to maximize energy absorption at different depths. In general, different medical conditions require different levels of penetration by these laser emitters. For example, some conditions that are shallow tissue like scars or lymphatic system complications don't have to go so deep. The end goal is to provide healing light energy from infrared and red laser photon radiation to damaged cells in your body to help stimulate mitochondria and increase your production of ATP. The effectiveness is to promote cellular growth and reproduction, boost your metabolic activity, stimulate accelerated wound recovery, provide anti-inflammatory benefits, improve your vascular activity, decrease the formation of fibrous tissue, help to stimulate your nerve function and generally reduce the pain you may be experiencing. There are actually four different classes of cold lasers-they are classified by the United States government by their eye damage potential. The safest class is the Class 1 and 1M continuous and modulated laser. These are low-powered, pulsed, modulated and super-pulsed lasers that pose a negligible risk of damage. Class 2 is the cold laser. Class 3 and 3B cold lasers have up to 500 MW power and can damage your eye. The highest powered option is the Class 4 Continuous Laser- this is for professional use only. Overall, lasers have a variety of different uses in the medical industry. You'll see them employed in such diverse treatment circumstances as open-heart surgery, cosmetic surgery, and even eye surgery. Their low-level light can help to stimulate healing by having your tissue absorbs the energy to produce chemical and biological reactions to help repair damaged cells. Over at healthline.com, just as a reminder should you be interested, the most common treatments they prescribe cold therapy lasers for include minor sprains and injuries, inflammation, skin rejuvenation, wound healing and acupuncture if you hate needles.